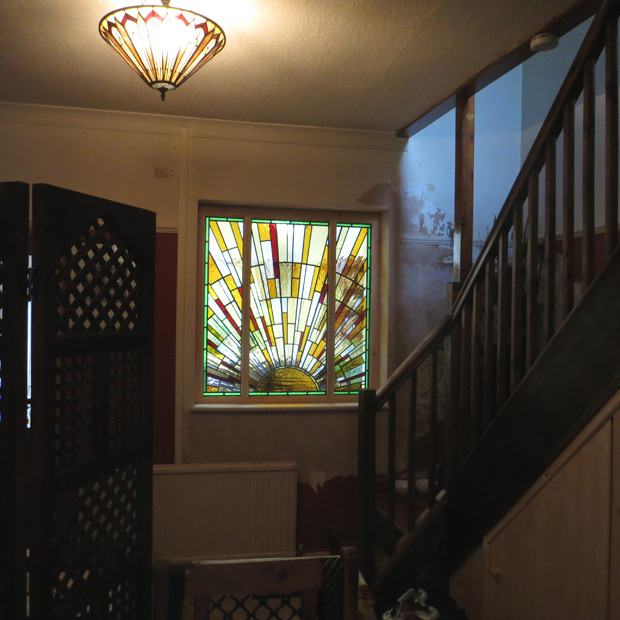 This leaded light sunrise window bridges the gap between the customers living space and a new kitchen extension. 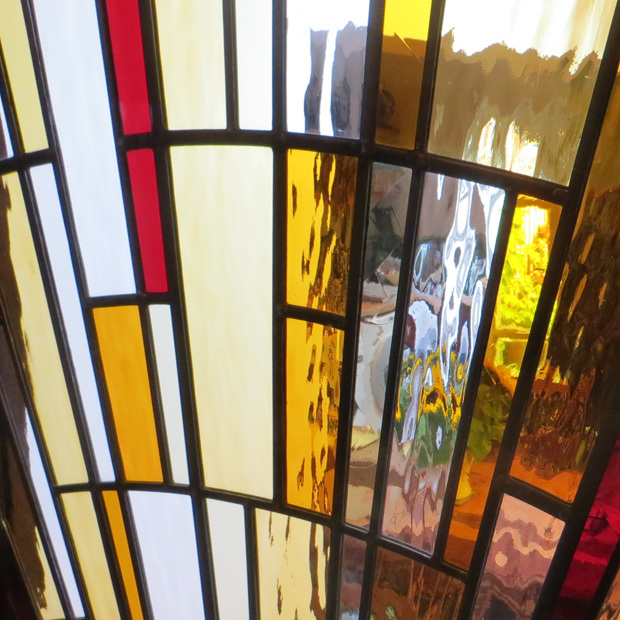 They wanted a window that would add some colour and vibrancy to a living space that is not naturally light. 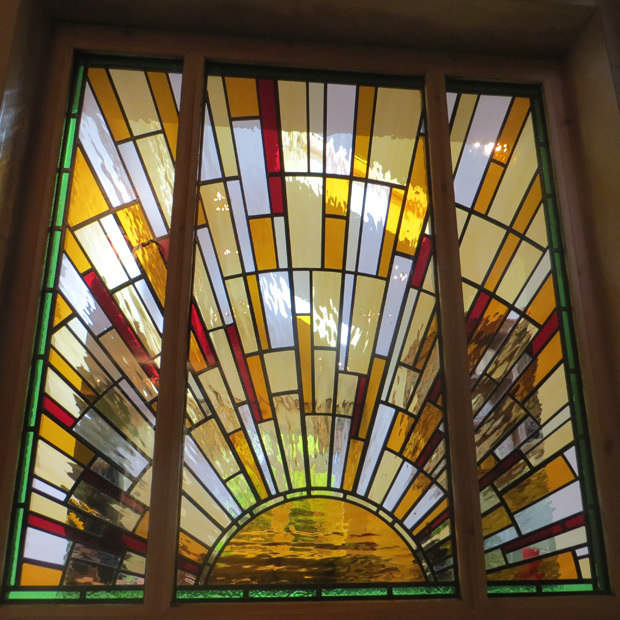 The window is over 4ft square and is made from various textured glasses. 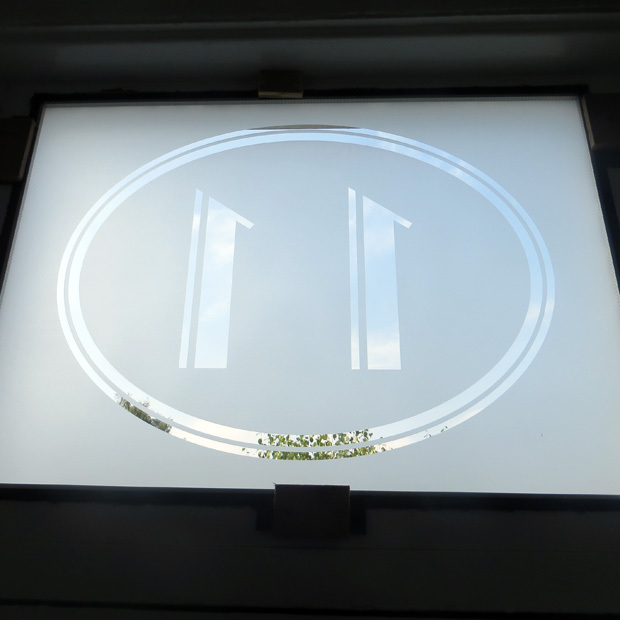 We also made a new sandblasted fanlight for above the front door with an art deco font in keeping with the sunrise design.